Coffee: the fuel that drives most of us coffee lovers throughout the day. We drink a cup of coffee in the morning, in the afternoon, sometimes even in the evening, and even a cup at 2 am. However, a lot of the coffee from the grocery store that we drink was produced using pesticides, herbicides, and a lot of other chemicals ending in -icide. These can be toxic to our bodies, along with having negative effects on the environment. The good news is that there is an easy alternative that is actually better than the cup of coffee you are used to drinking. Organic coffee not only usually has a better taste than regular coffee, but it is also great for the environment. 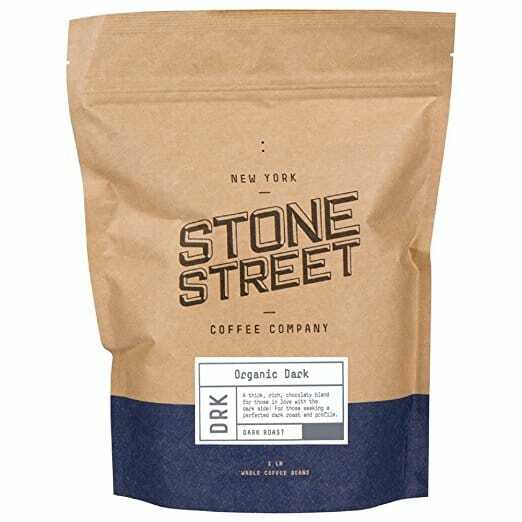 We have scoured the internet looking for the best organic coffee and we found them. Here are our top 10 picks for the best organic coffee you can put into your body. In the chart below, you will find our top 10 rated Best Organic Coffee. For a more in-depth review of each model, please click on "Read Review." Organic coffee beans are grown just like regular coffee beans with some key differences. Producers of organic coffee are not allowed to use any synthetic substances and chemicals like pesticides, herbicides, insecticides, or fertilizers. In order for coffee to be labeled organic, producers must grow at least 95 percent of the coffee beans under organic conditions. Most organic companies make sure that 100 percent of their product is organic, which is even better. The reasoning behind organic coffee is not so much for the consumer but for the benefit of the planet and the workers. By eliminating the presence of pesticides, organic coffee beans and food, in general, are greatly helping the environment. Pesticides and other synthetic compounds are highly toxic to the soil that the coffee grows in. It can throw off the natural balance of the nitrogen cycle. That is in addition to the possibility of those pesticides being washed into nearby water sources which can contaminate the water and negatively affect the marine life. Pesticide and fertilizer use are one of the leading causes of soil pollution and a heavy contributor to water pollution. When looking at the conditions the workers have to deal with, it is much worse. While the pesticides do not usually reach the consumer, they are hazardous to the workforce. While harvesting, planting, and maintaining the coffee fields, the workers are forced to be around and can end up breathing in the pesticides. That stuff is highly toxic to human health and can lead to a number of illnesses. Thankfully, the best organic coffee has no negative effects on human workers, consumers, or the environment. The only thing that may sting a bit is the price tag. Organic coffee has a variety of different types. Each one is based on where the coffee beans are grown or what that variety of coffee does for the environment. When it comes to organic coffee, there are five popular types. None of them really have any disadvantages or advantages over the others. It is all purely based on what you personally like. Each has something that makes it special. Organic shade-grown coffee is the first—and very popular—type of organic coffee. This variety is grown in the natural shade of tropical forests, meaning that growers do not clear land for farming. This is really awesome as a lot of deforestation is contributed to agriculture. While it may seem weird to grow in the shade because to grow anything in a time-efficient fashion, you need sunlight. However, though the growth of this variety of coffee is slow and it produces small batches, brands claim it has a better taste and has more flavor. The biggest thing about shade-grown coffee, in addition to not cutting down trees, is that it also uses much less water. This is because the evaporation of water in the soil is low due to the lack of sunlight and heat. The only thing negative about this variety of coffee is the high price tag, and this is because of the small batches. Organic bird-friendly coffee follows nearly the same production technique as shade-grown. The biggest difference is brands who make bird-friendly coffee have their priority in preserving the natural habitat of birds. In fact, a lot of the proceeds from their sales go towards preservation. Organic Kona coffee is one of the most popular brands. It also has a very unique growth technique. Kona coffee is grown on the fertile, volcanic soil of the Kona region in Hawaii. The farmers depend nearly completely on the fertility of the soil, which is enriched by the volcanic ash and lava. They use organic fertilizers and biotic pest control methods as well. It has a very unique taste and flavor, obviously due to the process in which it is grown. However, Kona coffee is also one of the most frauded claims in the coffee market. Many brands will try to sell regular coffee under the Kona tag for better marketing. Organic green coffee is special because the coffee is taken from raw coffee beans that do not go through the roasting process, like many of the other varieties. Of course, no chemicals are used in the processing either. The taste of this coffee depends on good soil, the right altitude, climate, and processing. Another pretty cool thing about green coffee is that it is a highly rich source of antioxidants and contains chlorogenic acid, which is said to be far more effective in getting rid of free radicals than the antioxidants in green tea. In addition, it also boosts metabolism, and the caffeic acid helps to energize the body after fatigue. Organic decaffeinated coffee is a variety of organic coffee is that it is decaffeinated. I have never quite understood the point of decaf coffee, but if you like decaf coffee, yay for you. All of these coffee varieties are great and special in their own way. However, it ultimately is up to you and your taste. 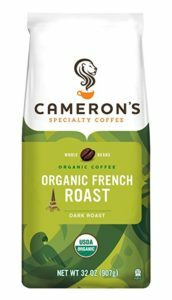 If you are not a coffee connoisseur, much of what is claimed by organic coffee brands may go right over your head. In addition, there are some things that you should be on the lookout for. Some regular brands from the grocery store will try to trick coffee drinkers into buying their coffee over the others because they claim the same thing but have a lower price tag. 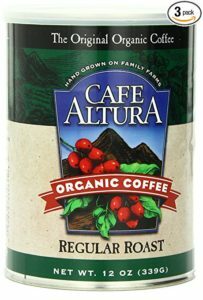 I'm here to show you what you should consider when looking for the best organic coffee. The price of coffee can be all over the place. The big brands of coffee will usually only cost about five dollars per pound, but then you look at the rare and special variants, which can cost nearly 30 dollars. Most people think that spending more on coffee means that it is super special in some way. This is especially the case when shopping for the best organic coffee. The thought is that the more you pay, the better the coffee will be for the environment and for your health. However, this is not the only aspect to keep in mind. 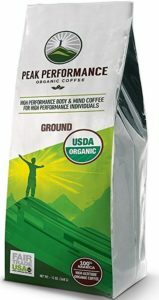 Of course, certain brands hike up their prices due to low availability or the expense of producing that type of coffee. If you want to spend a little less, there are more affordable brands of organic coffee. In general, organic coffee usually does cost more than regular coffee. However, when shopping, it pays to dig a little deeper into the brand of coffee than just the price tag. Marketing is all about grabbing the attention of the consumer. It draws you in with fancy words, brightly colored labels, graphics, and more. However, this is also how a lot of brands trick you into buying low quality or sometimes even fake organic coffee. There are a few legit marks that you should be on the lookout for. USDA Organic and Certified Organic are one of the most important badges. 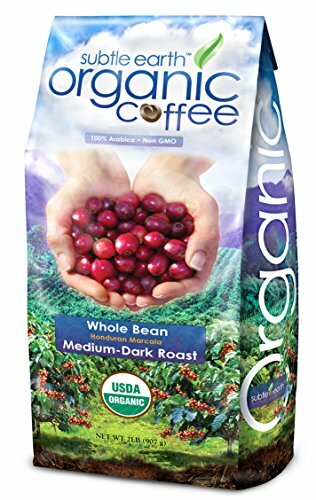 Do not trust a label that just says, "Organic Coffee". If it does not have the certification, then the word "organic" means nothing. Another example of a phrase that has no legal binding is Direct Trade. The phrase means that the distributor or those in charge of the roasting process have a direct relationship with the farmer. This says that they are promoting either local businesses or trying to pass as a trustworthy brand. However, the phrase “Direct Trade” has no legal meaning or binds. Literally, anyone can say that. Now, of course, this does not mean that the brand is lying in any way, it simply means that you should be cautious. Do a little digging into the company or brand to really find out their intentions. In addition, and as mentioned before, many regular coffee brands will try to pass their coffee off as a special brew. Shade-grown, organic, or Kona coffee are common examples. Anyone can claim this on their labels, but it does not mean it is true. Most of it is purely marketing. Keep on the lookout for those legit marks and badges. This is extremely important when shopping for the best organic coffee. The organic food industry is full of fakers trying to make more money off of the organic trend. Like the consideration before, do not get distracted by the fancy lettering and popular words. Be sure to really look at the brand and the label to determine whether or not what they are claiming is legit. There are a few certifications that you should look for. Especially when trying to determine whether the variety of organic coffee meets all the requirements for organic certification. Fair Trade Certified is a very important one. However, it has to be the full phrase. 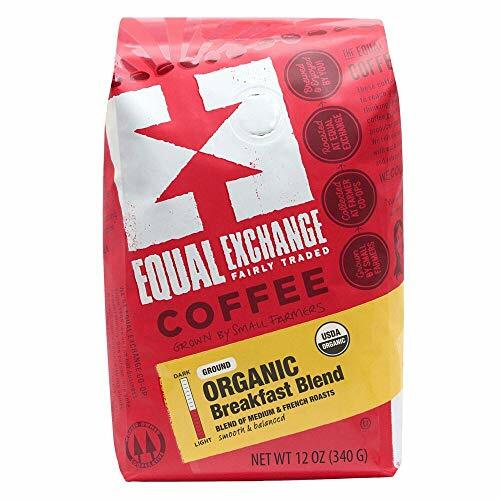 Many brands will claim to be organic fair trade coffee, however, without the label from an organization like Fairtrade International or Fair Trade USA, the claim means nothing. If you have a brand with one of those two labels, you are good to go. Rainforest Alliance Certified is another good label. This organic certification shows that the focus of that brand is to be ecological, requiring some shade, some clean water rubrics, and attempts to preserve the environment. In addition, they also contribute to protecting children from exploitation. However, while the certification is legit, the standards that surround the certification are a bit slack. For example, sometimes only 30 percent of the coffee in the package needs to meet the standards for the entire package to receive the certification. In addition, the package does not need to state what amount of the coffee meets the Rainforest Alliance certification standards, so really there is no way to tell. As briefly mentioned before, certified organic coffee has many awesome benefits. Coffee is the most valuable traded commodity in the world, second only to gas. It has an impact on many lives, both farmers and consumers. When buying organic coffee, you can rest assured that you are helping not only the environment but also the lives of many coffee farmers. When looking at the environmental impacts of organic coffee, you can see that it is greatly helping to improve the quality of the planet. The whole premise of organic coffee, in general, is the absence of synthetic growing materials. These include pesticides and fertilizers. By not including synthetic compounds when growing the coffee beans, organic coffee is helping to reduce water and soil pollution. The way certain varieties of coffee are grown also has great positive impacts on the environment. For example, shade-grown coffee uses much less water than coffee grown in regular fields. This is because the heat is lowered due to the lack of sunlight. This also helps their roots and the soil, which prevents erosion. Many varieties of organic coffee brands are also helping in preservation. Bird-friendly brands have the focus of helping preserve the many different natural habitats for birds. When taking a look at how organic coffee helps coffee farmers, you will find many similarities. Without using pesticides and herbicides (and other chemicals), the farmers are able to breathe clean air, free of toxins. In addition, certain brands of coffee also give a substantial amount of proceeds back to the workers themselves, making their lives a little better. The best organic coffee also has a number of health benefits. One very interesting benefit that organic coffee beans have over regular coffee beans is that it can help to boost your immune system. Organic coffee helps to satisfy hunger and helps your body get rid of toxins. While coffee is not meant to replace your nutrition, it can quickly fill your stomach, boost your energy, and help you stay away from unhealthy snacks between meals. Pair it with organic, raw sugar and it can also satisfy your sweet tooth. 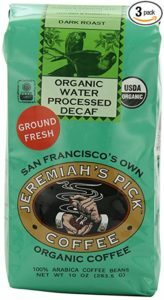 There are certain things that make for a very good quality organic coffee. Here are a few things that you should look for when choosing the best organic coffee. For those of you who are not in the know about coffee, especially organic coffee, do not worry. You are not alone. Here are the top frequently asked questions by other consumers in the same boat as you. These might help you when looking for the best organic coffee. 1. What is "Fair Trade"? 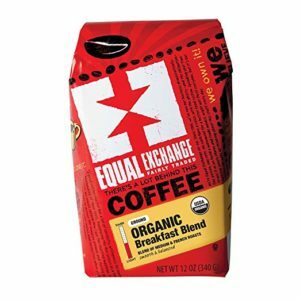 Organic fair-trade coffee is a great addition. It ensures that by buying that brand of coffee, you are making a huge contribution to the lives of many coffee farmers. Basically, what fair trade means is that it guarantees that the farmers are receiving a livable wage. It also means that you are helping them to develop sustainable farming practices for their farms and communities. This is a great question as some coffee companies will try to pass their coffee off as organic, purely for marketing. To know for sure, look for the badge "USDA Organic". 3. 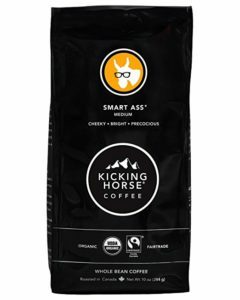 How can I tell if the coffee is really from the location the brand claims? Many companies try to do the same as the "organic" claim with their location. Kona coffee is hit especially hard. To really be sure, take a look at the SKU number under or above the barcode. Also, do some research on the brand. Odds are, if they are lying, someone has exposed them by now. Here are some articles that answer the most popular questions about organic food and drinks. Your search for the best organic coffee hopefully stops here. 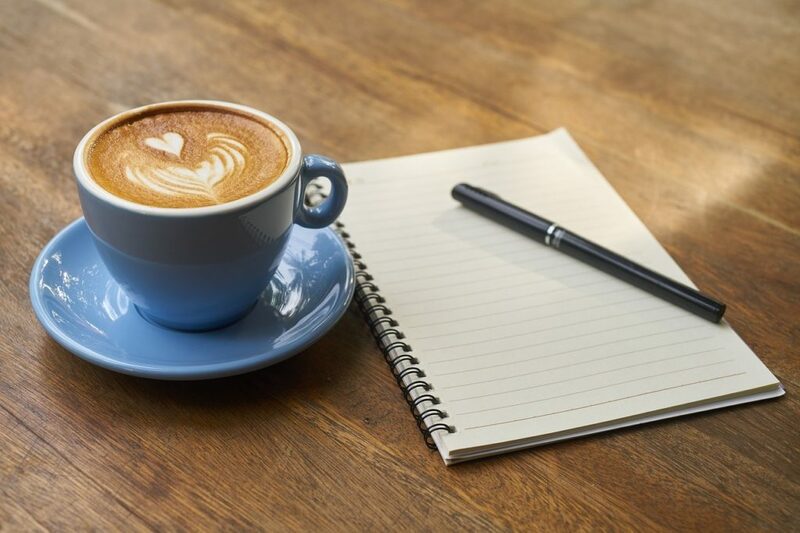 Now that you know all of the facts and types and information about organic coffee, you can use it to inform your friends that are coffee drinkers and coffee lovers about it. 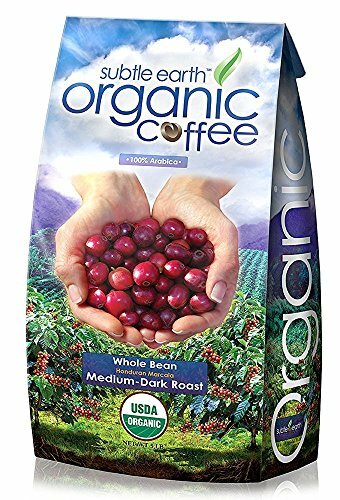 Your cup of organic coffee is great for your body, the farmers, and the environment, and besides, the taste is phenomenal.